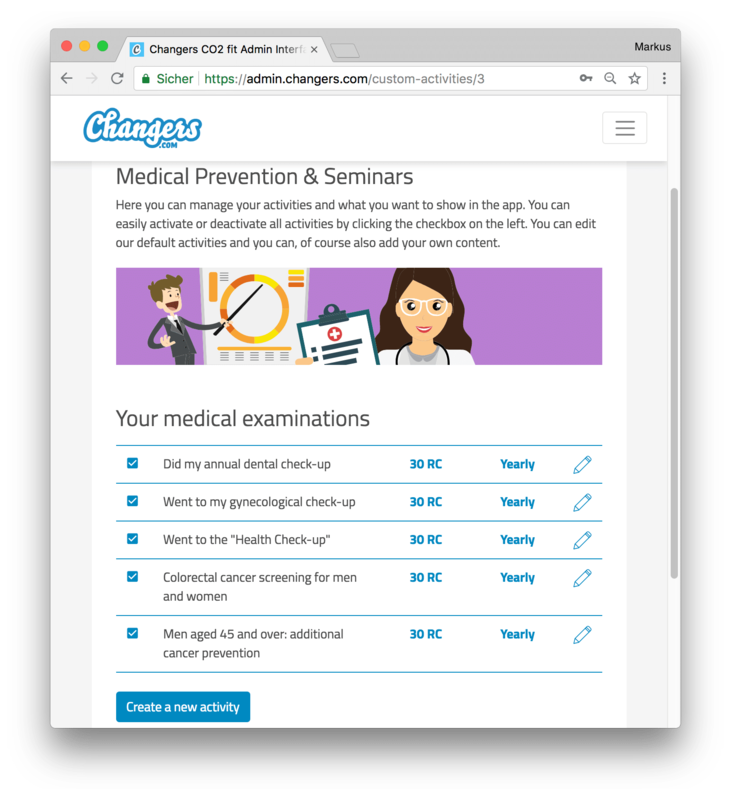 Changers launches Germany’s first SaaS health platform. What only large corporations have been able to afford so far is now available to even the smallest, small and medium-sized companies from as little as € 49 per month. 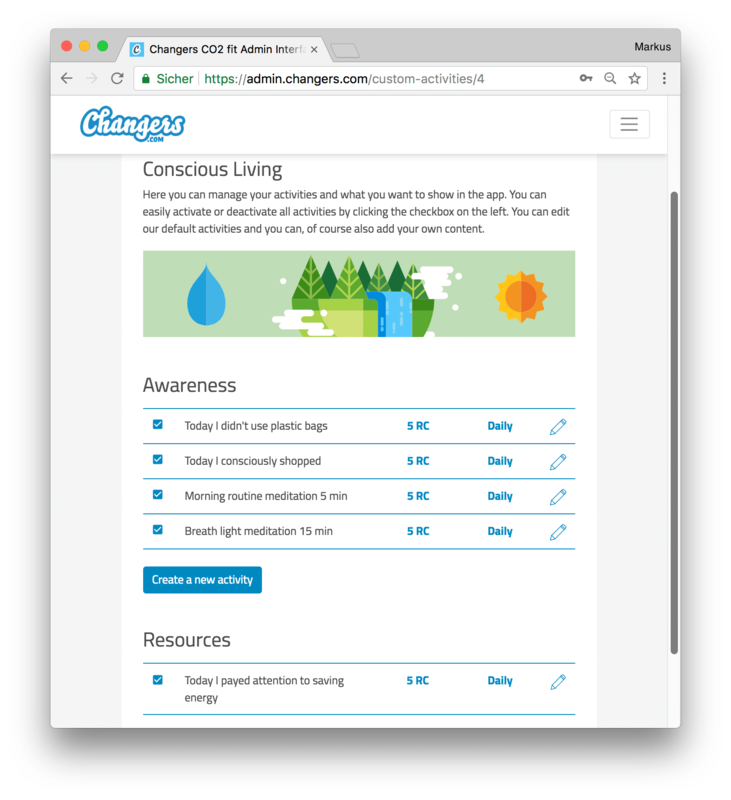 With just a few clicks, any company can now set up themselves its own health app “out of the box”, without any need of IT implementation on Changers.com. The app contains everything you need to offer your own health platform in your company. We have transparent cost calculations in accordance to the number of participants in your health challenge and prices start already from 49 Euros per month. We have no set-up fees and no contract terms. In addition, we have a 14 days free testing period, where companies can browse and test extensively in the app and the web starting to use the service on a permanent basis. As uncomplicated or “digital” as Daniela Schiffer, one of the founders of Changers, calls it, it goes on as well after your registration. With only a few clicks, the app is already customized with your company logo and the most important settings regarding your needs and wishes. The app can then be downloaded from the respective App Store for iOS and Android. 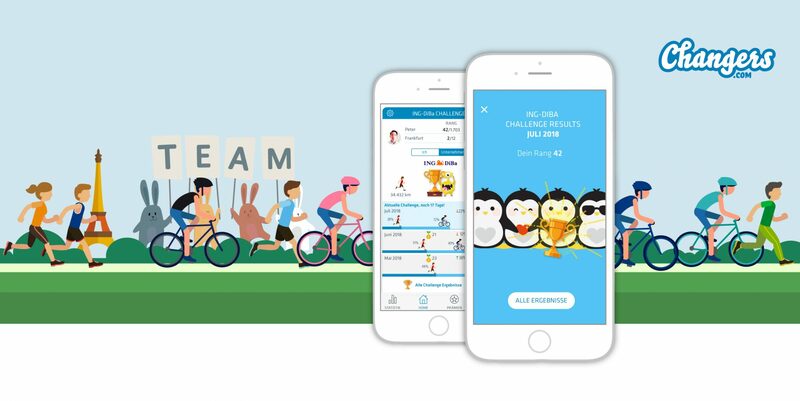 Playful team competitions around running and cycling can be set up and started individually by the companies with just a few clicks. 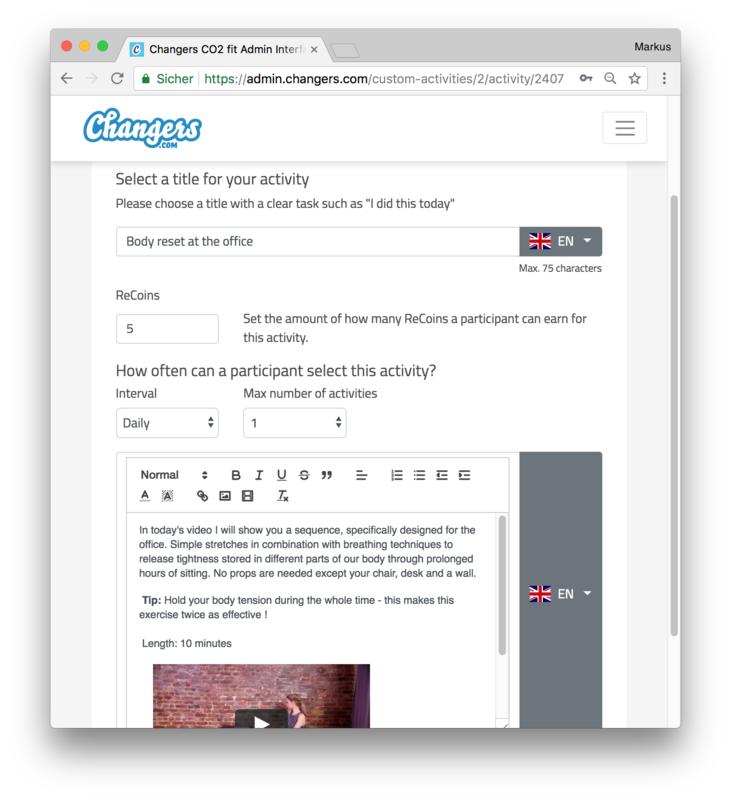 Teams can be branches, departments or freely chosen groups. Ongoing challenges motivate the participants to stay tuned. 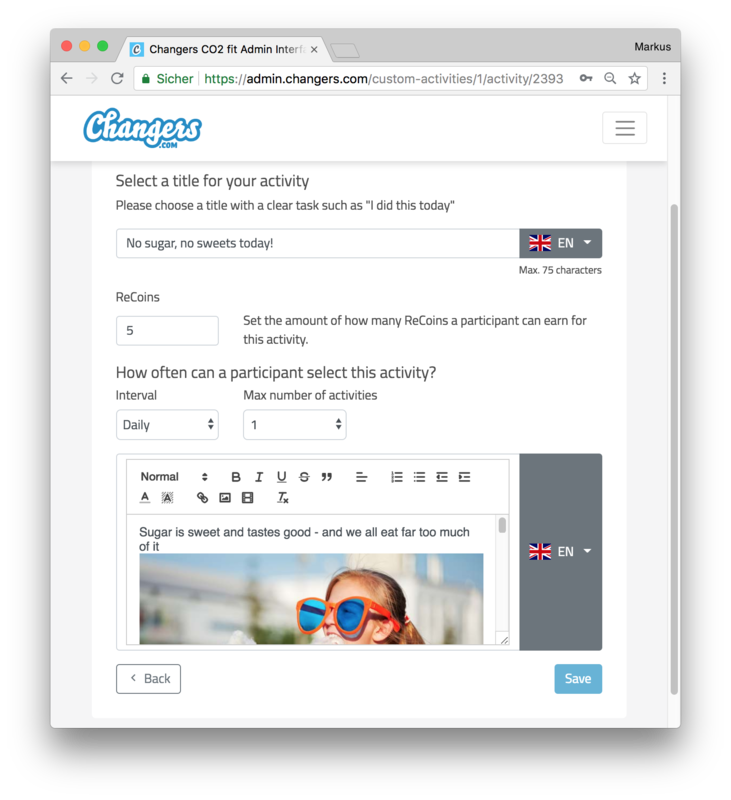 The Changers health platform already has its own bonus and rewards system. 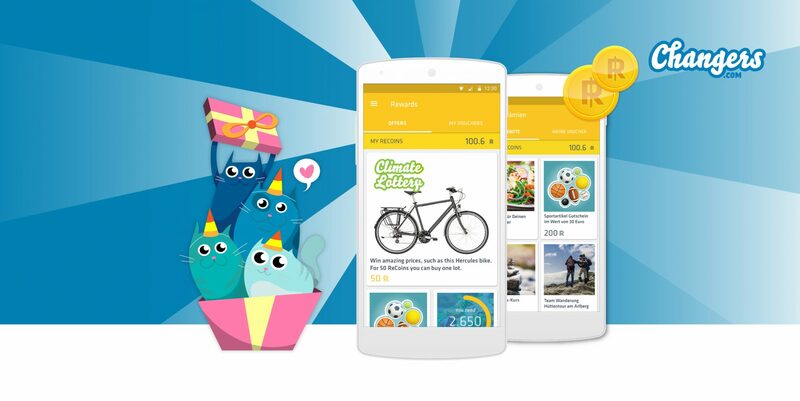 For example, participants can exchange their bonus points for vouchers such as a fitness plate in the cafeteria, back training or bicycle accessories. It is also possible to start individual raffles within the company. 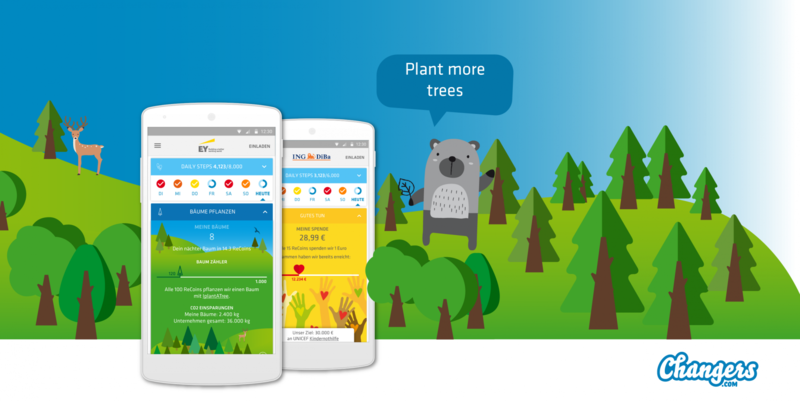 In addition, you can plant your own trees or set up a donation project for a charity project of your choosing. For example, for 100 kilometers walked or cycled, you can unlock a tree which is planted in an ecological reforestation project in Germany. The own “corporate forest” is a huge motivation, improves the CO2 balance and sensitizes for environmental protection topics. Even social donation projects are a great motivation and strengthen the company values, whether it is Unicef, Doctors Without Borders or the kindergarden-renovation in your neighbourhood. 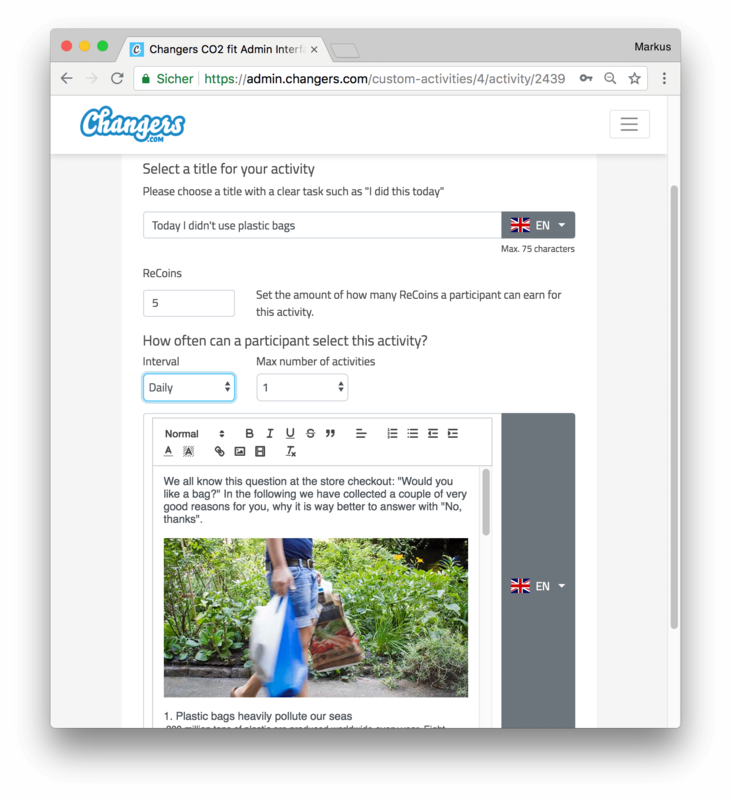 The organization can manage every part of the project within the admin settings: which project to choose from, the your donation goal and how many bonus points are needed in order to unlock 1 Euro or Dollar of donations. 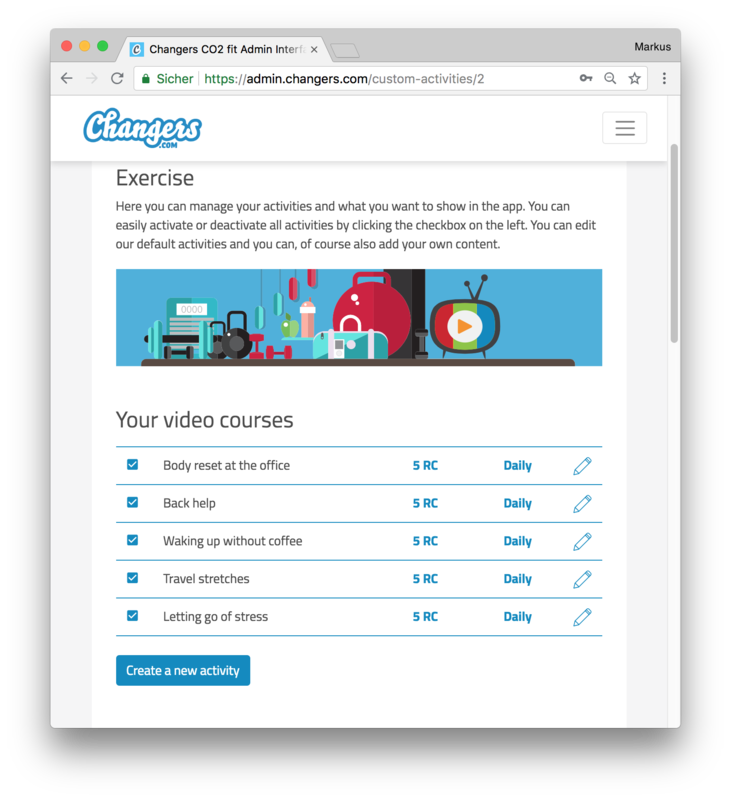 Again, Changers offers a “one-stop ser­vice” from setting up a charity project to offering service partners. Our goal is to deliver a “plug and play style service” plus customization options throughout the entire healthcare platform. Companies can choose from four categories of healthy activities: workout videos, guided meditations, prescriptions or preventive check-ups. In addition, you can add your own health measures at any time. For example, you can add the company’s own flu vaccination along with all the necessary information such as location, time and contact person or a video from the last safety seminar or further info on your active break campaign and comfortably reach your employees on their smartphones when they have time. The participation again of course can be awarded with bonus points. The software is of course GDPR compliant. Upon registration, the companies receive a data processing contract and all necessary documentation to be compliant – comfortably deposited in the profile. This saves time and money on both sides. In addition, because of working with major German corporations Changers has included the requirements of the company and unions already during the development of the product. This includes anonymous participation without clear names and corporate email, or that we don’t share our users data with third parties. Users of course can always delete their account and all their data. NextWhich pedometer, wearables and fitness apps I can use for distance measurement.